Widespread outrage greeted Patreon’s announcement of a new fee structure that will charge patrons (donors) for making donations, too, on top of the existing 5% fee paid by creators. Now patrons will be charged processing and transaction fees (2.9% + $0.35) on each individual pledge. If you pay a dollar, Patreon will charge you $0.38 to pay that dollar, so you’ll now pay $1.38. In order to continue our mission of funding the creative class, we’re always looking for ways to do what’s best for our creators. With that, we’re writing to tell you of a change we’re making so that all Patreon creators take home exactly 95% of every pledge, with no additional fees. Aside from Patreon’s existing 5% fee, a creator’s income on Patreon varies because of processing fees every month. They can lose anywhere from 7-15% of their earnings to these fees. This means creators actually take home a lower percentage of your pledge than you may realize. Our goal is to make creators’ paychecks as predictable as possible, so we’re restructuring how these fees are paid. Natalie Luhrs’ detailed analysis of the change, “Funny Money, Patreon Style”, illustrates how the new fee structure will affect various levels of donations. I know this is going to read like the world’s worst word problem, but bear with me–there will be a data table, I promise…. As I said before, this seems calculated to reduce the number of people pledging at sub-$5/month tiers. This has the added bonus of putting more cash right into Patreon’s bank accounts. Which will certainly make the investors happy, as this improves Patreon’s cash flow and improves the chances for a successful IPO. And the other thing it does? It tells all of Patreon’s users–creators and patrons alike–exactly who is calling the shots and what the real priorities are. And they’ve chosen to do it in a disgustingly predatory fashion. They also inserted themselves clumsily into the relationship between creator and patron, creating a potential disruption. That broke the social contract they had with creators. Q: How much time do I have to change my pledge before the change? A: You have until December 31st, 2017 to edit a monthly pledge. If you are pledging to a per-creation creator who makes a post between December 18th and December 31st, then you will see the service fee added to those posts. Q: How can I cancel my pledges? A: You can find the steps to cancel your pledges here. And what’s worrisome is that supporters who leave the @Patreon platform aren’t going somewhere else. That audience isn’t hopping over to support other artists at the same level – they’re leaving the world of microdonating all together. What’s really surprised me (apart from the ham-handedness about the entire rollout that I noted yesterday) is that I couldn’t find one person with an interest in Patreon that’s even neutral on this change. I’ve spent all my free time since last night trying to find one person — creator or backer — whose irritation went no higher than meh, whatcha gonna do? But no; literally everybody whose email address doesn’t end in @patreon.com hates everything about this change. Outraged author Liz Bourke, Tor.com columnist and past Best Fan Writer Hugo nominee, has taken the extreme step of interrupting her Patreon activities and cutting off donations in protest — “On Hiatus Because Of Patreon’s (Gaslighting) Changes To Fee Structure”. Instead, what they’re doing is changing the entire system. They’re now charging you for accessing a service that benefits me, and telling both you and me lies to make us believe this is a good change. People who lie about money are not people who can be trusted to handle your money. So. I’m on hiatus. Funding status has been switched over to per-post, so you shouldn’t be charged at the end of the month. I’m not going to do any work here, and I encourage other creators to take the same stance. If Patreon makes sufficient efforts towards honesty and transparency, I may return. Hey everyone I've pledged to/received support from on @Patreon. Because Patreon has decided to overcharge folks who were kind enough to support me I am suspending all activity on the platform until further notice. More to follow. Patreon, which was founded in 2013 and has raised about $107 million in funding so far, says it has more than one million subscribers who pay an average of $12 per month to more than 50,000 creators. Its success prompted Kickstarter to retool Drip, its subscription service for independent musicians, to compete more directly with Patreon. 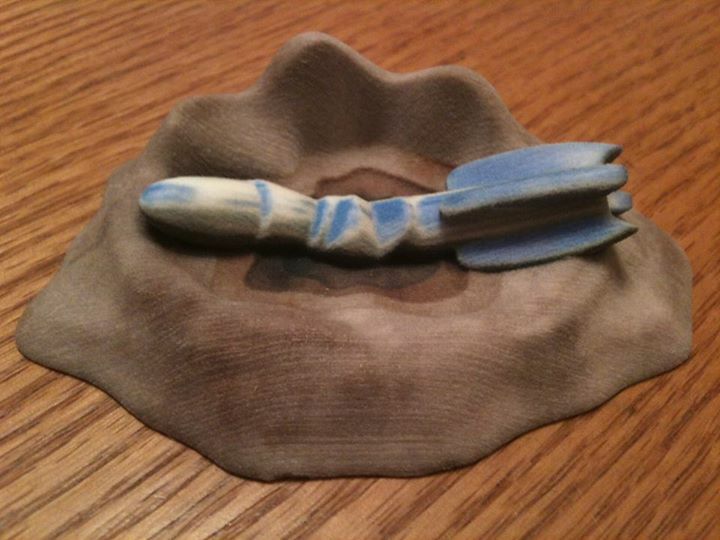 Other rival crowdfunding platforms for creators include Flattr and Steady. While creators can ask supporters for pledges on their own using PayPal, Stripe and other payment services, Patreon’s ease of use, thanks to tools like its API, and popularity helps many make an income (or at least not lose money) from their art. This is especially important for creators who rely on YouTube, but saw their revenue plunge this year as a result of changes to its advertising policies—(an event known as the “adpocalypse“). For them, Patreon’s new service fees represent a potential double whammy and are yet another reminder that the online platforms that help them make a livelihood can also very quickly take it away. (1) YA AWARD NAME. Annalee Flower Horne makes a preemptive strike. All I want out of the Worldcon YA award is for them not to name it after Heinlein. Or any dude, actually, but especially not him. Is this just gratuitous Heinlein hatred? Dude hatred? Have I missed a news item? Or maybe I haven’t. Kevin Standlee recently wrote that if the YA Award passes the Helsinki Business meeting, then the Business Meeting can take up the issue of what its name should be. There was a nonbinding survey asking fans’ preferences among six names (Anansi, Lodestar, Ouroboros, Spellcaster, Tesseract, and Worldcon), but that places no limits on the Business Meeting. (2) A REAL VIKING. 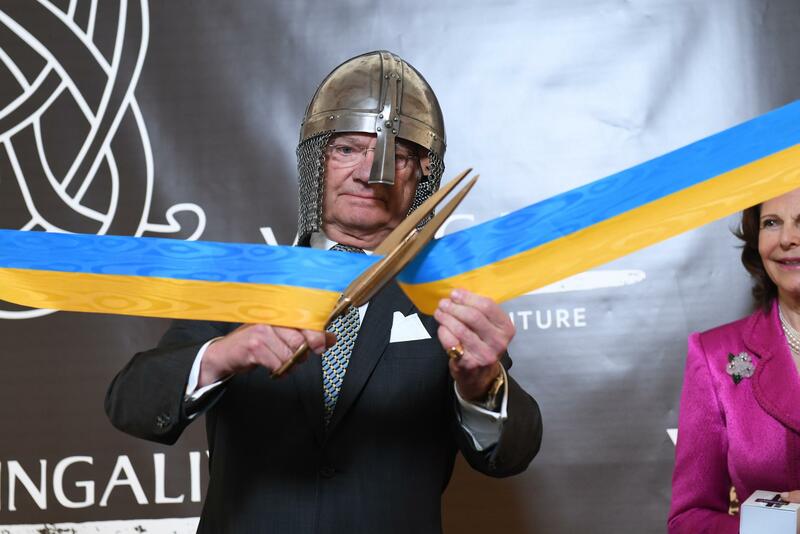 Hampus Eckerman recommends, “For those Filers that will combine their visit to WorldCon with a visit to Sweden, a new Viking Museum, called Viking Life, opened this weekend. 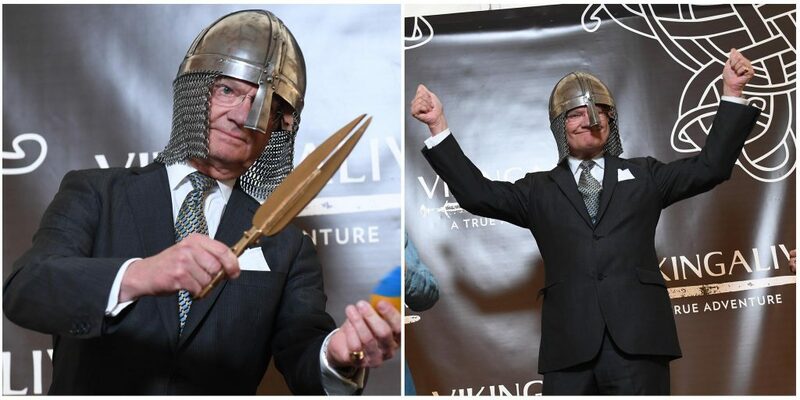 Some comments about being the only real place to see Vikings in Stockholm has already sparked a fight with the Historical Museum. The Historical Museum retorted that they had largest Viking exhibition in the world and that all authentic artifacts displayed at the Viking Museum had, in fact, been borrowed from the Historical Museum. (3) HE’S THIRSTY. OK, Steve Drew is sold on going to the Worldcon. I was at the U.S. Space and Rocket Center today for my son’s graduation from Space Camp. After the ceremonies, we toured the museum and saw Wernher von Braun’s retro-Hugo (1954, from Boston’s Noreascon 4 in 2004) in the Best Related Work category, for his book Conquest of the Moon, co-written with Fred Whipple and Willy Ley. 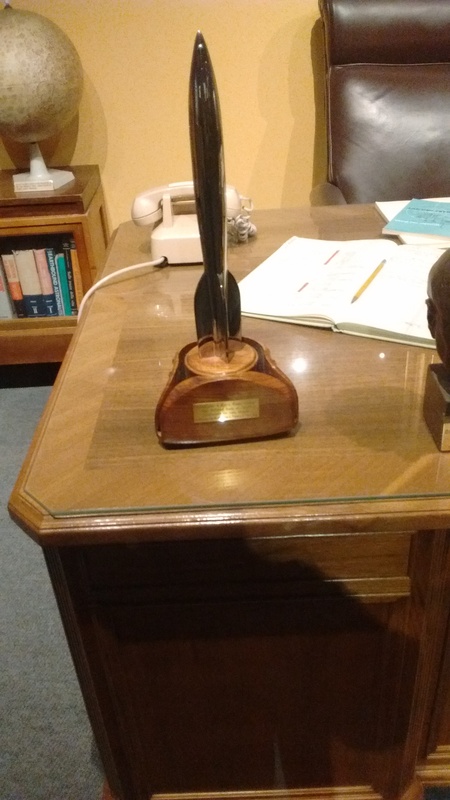 His office at Marshall Space Flight Center has been recreated there as a permanent exhibit, and his award is sitting on his desk. Patrick Molloy also wrote about it here in 2012. (5) CONTROVERSIAL EDITS. Natalie Luhrs articulates how “Failures of Empathy” are an sff community issue. Recently, Seanan McGuire (1, 2, 3) and J.Y. Yang (thread) have talked on Twitter about copyeditors making changes which fundamentally alter the story, and not for the better. The change in question: redacting the use of the singular they—used by nonbinary characters—to whichever binary gender the copyeditor felt like substituting. This is an act of erasure and, as Yang points out in the linked thread, an act of violence. Many nonbinary people use the singular they as their pronoun—while this is a relatively new usage, it is not incorrect (copyeditors of the world, take note). I have seen it become more widely used over the last few years and at this point anyone griping about it is basically using it as an opportunity to be a prescriptivist jerk. …We have an empathy problem in the SFF community. These failures are more obvious when a convention dismisses the safety concerns of their female Guest of Honor in favor of their friend the serial harasser, but you can also see it at a smaller scale: World Fantasy’s initial decision to retain the H.P. Lovecraft pin and Brian McClellan suddenly deciding to tweet about how unprofessional it is to talk about your bad copyedit is when a person of color is the one talking. It’s an entire spectrum of failure, this lack of empathy. (6) COMPANIONABLE ALIEN. ScreenCrush catches up with “Karen Gillan on ‘Guardians of the Galaxy Vol. 2,’ ‘Avengers: Infinity War,’ and Nebula’s Near-Death Experience in ‘Guardians 1’”. I think it’s fair to say that when the first Guardians came out, these were the most obscure characters to get their own Marvel movie. 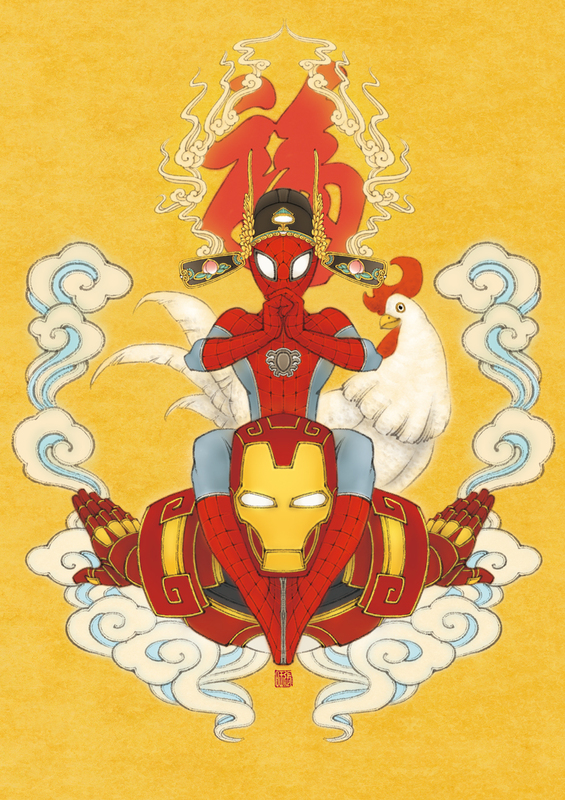 Now, of course, the first movie is beloved and everyone knows the characters. Did that change anything about how you guys went about making the sequel? Was there new pressure that wasn’t there before? That was quite an interesting thing for me as well, because I was wondering if anyone was going to be feeling the pressure; like second album syndrome or something. Maybe they did and they didn’t really show it, but I didn’t because I didn’t feel I had the responsibility of the film on my shoulders. I just got to come in and play this fun character. (7) ANCESTRY. I can’t believe a spellchecker did this – but how else would you get that typo? (8) COMICS EVERYONE BOUGHT. You can infer these are not all that rare, right? Yahoo! News lists “The top 10 best selling comic books of all time”. This comic, featuring Spidey’s encounter with then President Barack Obama, became a must-have collectible after being highlighted on news programs around the country. 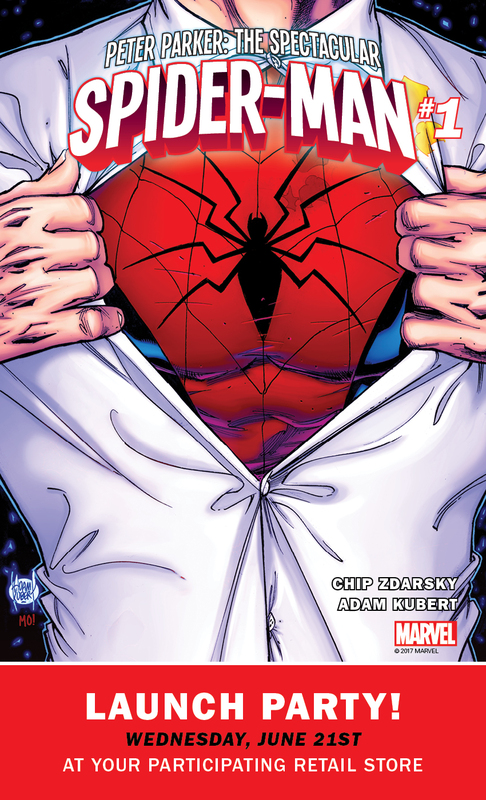 After a yearlong storyline that involved Doctor Octopus posing as Spider-Man, fans were more than happy to celebrate this back-to-basics approach to the friendly neighborhood wall crawler. (9) FOUNDATION AND EMPIRE. Here’s the moos – The Boozy Cow, a restaurant chain with a charitable foundation and donates all its profits to charity, has opened a fourth location in Scotland: “Charity restaurant chain opens fourth Scottish eatery”. The Boozy Cow chain – launched by philanthropist Garreth Wood two years ago – already has premises in Aberdeen, Stirling and Edinburgh, has now opened a venue in Dundee. Mr Wood also revealed that a further five charities will receive a share of the profits from The Boozy Cow chain – Hot Chocolate Trust, Mid-Lin Day Care, Dundee Woman’s Aid, Art Angel and Help for Kids. This brings the number of good causes currently supported by the company to 18. Last month, the organisation announced it was giving away £210,000 to charities including CHAS, The Archie Foundation and the Youth and Philanthropy Initiative in Edinburgh, with almost half a million pounds given away since the company opened its first venue in Aberdeen in 2014. (10) DAVIS OBIT. SF Site News reports the death of Grania Davis (1943-2017) on April 28. Author Grania Davis (b.1943) died on April 28. Davis was married to Avram Davidson for 3 years and served as his primary editor after his death. She co-authored several works with Davidson as well as writing works on her own. I never thought the time would come that reading The Magazine of Fantasy and Science Fiction would be the most dreaded portion of my duties…and yet, here we are. Two issues into new Editor Avram Davidson’s tenure, it appears that the mag’s transformation from a great bastion of literary (if slightly stuffy) scientifiction is nearly complete. The title of the digest might well be The Magazine of Droll Trifles (with wry parenthetical asides). One or two of these in an issue, if well done, can be fine. But when 70% of the content is story after story with no science and, at best, stream-of-consciousness whimsy, it’s a slog. And while one could argue that last issue’s line-up comprised works picked by the prior editor, it’s clear that this month’s selections were mostly Davidson’s. Moreover, Robert Mills (the outgone “Kindly Editor”) used to write excellent prefaces to his works, the only ones I would regularly read amongst all the digests. Davidson’s are rambling and purple, though I do appreciate the biographical details on Burger and Aandahl this ish. Born April 29, 1923 — Irvin Kirschner, filmmaker, director of The Empire Strikes Back. 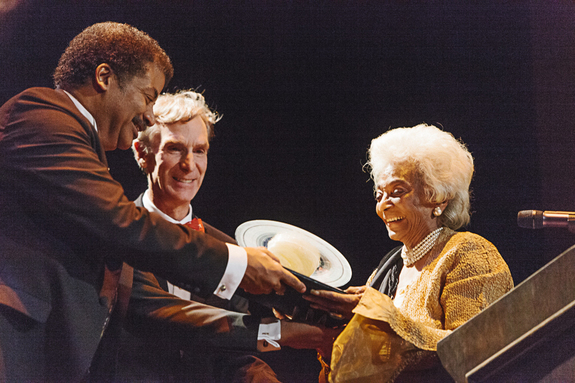 Astronomy allows us to see the history of the universe with our own eyes. The stars that twinkle as you look out on a dark, clear night may not exist right now. They existed at whatever point in history they emitted that light, which has taken millions of years to reach Earth. (12) LATE EASTER EGG STANDING. Hey, I’d already forgotten there was one — “Explaining the mid-credits scene in Suicide Squad”. BEWARE SPOILERS. (13) EXPANSIVE. Aaron Pound reviews Leviathan Wakes by James S.A. Corey at Dreaming About Other Worlds. Full review: The first book in the Expanse series, Leviathan Wakes is a kind of hard-ish medium future science fiction almost Space Opera story that feels a little bit like Firefly and a little bit like a Dashiell Hammett novel. The book is full of adventure, intrigue, and excitement, but it is the kind of industrial, oil-covered adventure, intrigue, and excitement that results in broken bones, bullet holes, and dead characters. Alongside the truckers and detectives in space in the book is just enough alien weirdness to shake things up and add a bit of inhuman horror to the impersonal dangers of living in a hostile environment that will probably kill you if you make a mistake. (14) NEWS TO SOMEBODY. Vox (the website, not the Rabid Puppy) said in its February review,, “Forget ‘white saviors’: The Great Wall is really about fighting giant lizard monsters”. A few things you should know about The Great Wall: It’s simultaneously 400 percent more movie than most and 10 percent as much movie as most — huge, bombastic, colorful, explosive, and containing almost no story at all. It’s roughly equivalent to watching the assault-on-Mordor bits of The Lord of the Rings: The Return of the King for 103 minutes. It was filmed in 3D, and I ducked a few times while watching. It also made me seasick, but that’s my own damn fault for sitting too close to the screen. Inequality goes back at least 30,000 years. Hunter-gatherers were more equal than subsequent societies. They had very little property, and property is a pre-requisite for long-term inequality. But even they had hierarchies. In the 19th and 20th Centuries, however, something changed. Equality became a dominant value in human culture, almost all over the world. Why? It was partly down to the rise of new ideologies such as humanism, liberalism and socialism. (16) AND THE THIRD LITTLE MARTIAN PIG… There may be no straw or timber, but — “Scientists just discovered something awesome about the soil on Mars”. The research, which was published in Scientific Reports, reveals that the soil on Mars is particularly well-suited to brick making. In fact, the dirt is so easily formed into bricks that building a rigid structure out of it wouldn’t require any special substance or even heat to bake them, and it’s all thanks to the same material that gives the Mars surface its reddish hue. At first, engineers at the university were trying to figure out exactly how much additional polymer would be needed for the Mars soil to be shaped into bricks. As they gradually reduced the amount of additive used with their soil simulant they eventually realized that they didn’t need any at all. The team was able to successfully compact iron-oxide-rich Mars dirt with a flexible container which was then pressurized. The result was small, firm blobs of soil which were stable enough to be cut into brick-like shapes. (17) SHINY. The New York Times tells where to buy “A Solid Gold Darth Vader for the Sith Who Has Everything”. For less than the cost of a trip to Tatooine, one lucky Star Wars fan will soon be able to own a solid gold Darth Vader mask — perfect for bartering, though perhaps not so good for heavy breathing. On Tuesday, the Japanese jeweler Ginza Tanaka unveiled the imposing headgear and announced that it would go on sale at the company’s flagship store in Tokyo on May the fourth (do we need to spell this out for you?) 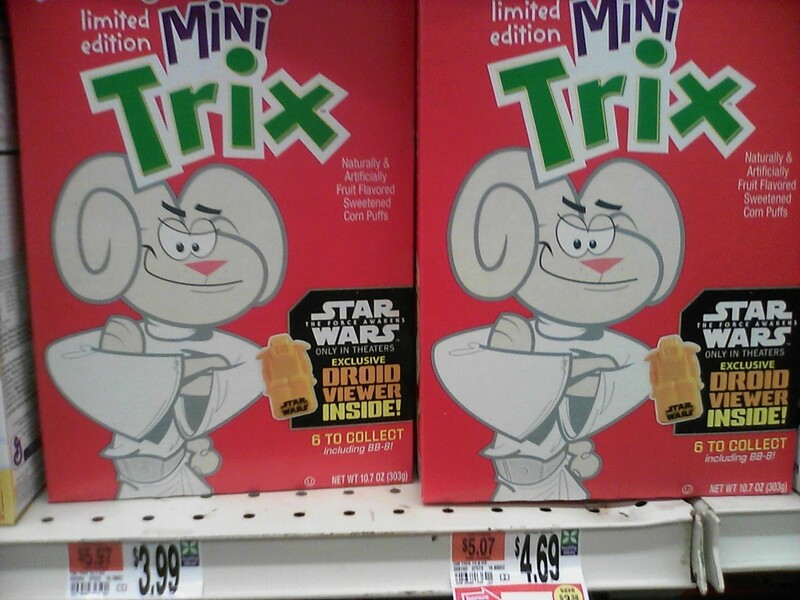 to celebrate Star Wars’ 40th Anniversary. The price? A mere 154 million Japanese yen, or about $1.4 million. Tax included! A survey recently found that the most popular song among prison inmates in the UK was ‘Let it Go,’ the big number from Disney’s 2013 blockbuster Frozen. Despite the incongruity of old lags carrolling along to a song more easily associated with preschoolers dressed as animated princesses, anyone alive to the emotional truths of the film would not be surprised to find it resonating with prisoners struggling to own the guilt of the past and move on…..
(19) AI SCRIPTWRITER RETURNS. “It’s No Game–A Sci-Fi Short Film Starring David Hasselhoff” is a commentary on the forthcoming writer’s strike, featuring David hasselhoff as an android, that explains what happens when writers are replaced by the Golden-Age-Ophile and the Sorkinator. Update: Corrected item one to the name Annalee Flower Horne. (Not Newitz, as I mistakenly wrote to begin with.) Apologies to all concerned. (1) NO FLY ZONE. John Brunner in The Shockwave Rider said that ‘The future arrives too soon and in the wrong order.’ And here’s proof of that — “French hoverboard inventor banned from flying in France”. The man who invented the Flyboard Air has been barred from flying his jet-powered hoverboard in France, sparking a debate over the country’s policies on innovation. In a Facebook post on March 10th, Franky Zapata, founder of the company that bears his name, said there is a “strong probability that the Flyboard Air will never fly again in France,” after officials from the French air gendarmerie told him he would be placed under criminal investigation if he continued to pilot the craft. Zapata added that he will now be “obliged to leave France” in order to continue his work. (2) DO YOU DIG IT? A road that is too close to Stonehenge will probably be buried, but there are many issues with the proposed tunnel. It’s one of the world’s most famous ancient monuments: an instantly recognisable icon from a forgotten world, a place for quiet wonder and contemplation. And yet for many people, the first and perhaps only glimpse they get of Stonehenge is from a traffic jam on the A303, one of the main routes between London and southwest England. This could be about to change. A bold £1.4bn plan proposes ripping up much of the existing road and replacing it with a new route that includes a 2.9km (1.8 miles), deep-bored tunnel just a few hundred metres south of Stonehenge…. A far bigger priority is ensuring that the context of the wider landscape is preserved, such as that the sightlines between the area’s various monuments and barrows – thought to have been deliberately designed by the Neolithic engineers of ancient Britain – are left intact. I am pleased to know that the US Court of Appeals agrees with me, insofar as they ruled that a missing Oxford comma was the deciding factor in the case of Kevin O’Connor v. the Oakhurst Dairy…. (4) 10-SIDED DICE YES, BLACK HELICOPTERS NO. An Ars Technica writer at SXSW found “The CIA uses board games to train officers – and I got to play them”. He used SXSW to present three board games made for his training exercises over the span of a four-year period, one of which is still in development. The first is the one we got the most hands-on time with during SXSW: Collection. If that dry-as-a-desert name isn’t a good indicator, rest assured—this is not a game meant for retail or for the highest ratings at BoardGameGeek. Collection compares favorably to the popular cooperative game Pandemic. In Clopper’s game, a group of players must work together to resolve three major crises across the globe. The object is for players, who each represent different types of CIA officers, to collect enough relevant intel to resolve all three crises. If any one of the three impending disasters boils over (as represented by three increasing “fire” meters), the team loses. Every game must have at least three players to fill the roles of “political analyst,” “military analyst,” and “economic analyst.” Those three are only able to collect intel in their specific fields, while additional players (up to seven on a team) have their own specialties. The difficulty comes from the low number of actions each player can do per turn, along with how quickly the fire meter ratchets up. (5) WIZARDRY. 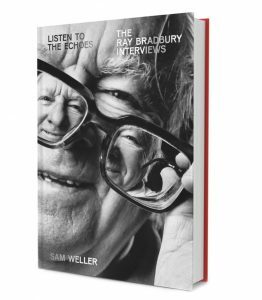 Bradbury biographer Sam Weller tells why you should “Pay Close Attention to the Man Behind the Curtain: 8 Things I Learned About Writing from Ray Bradbury”. In 12 years, as one might imagine, I observed many of Bradbury’s creative secrets. I peered behind the Oz-ian curtain, as it were, and paid close attention. Bradbury was a master storyteller and visionary artist who created across an unprecedented nine decades. Fahrenheit 451. The Martian Chronicles. Dandelion Wine. Something Wicked This Way Comes. Massive collections of poetry. Massive collections of essays. 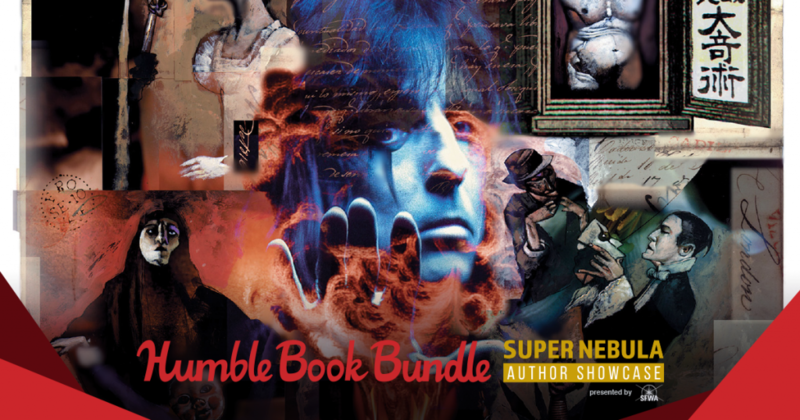 Hundreds of short stories across every conceivable genre. 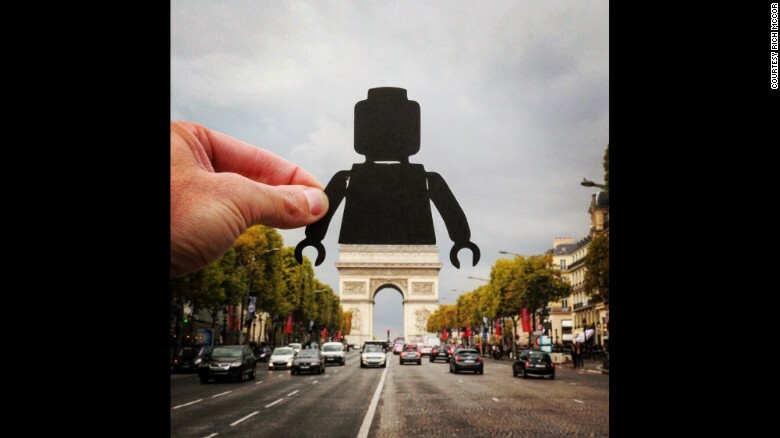 He owned and operated his own theatre company. He wrote episodes of The Twilight Zone and Alfred Hitchcock Presents. On a whim, he scripted an animated short film that was later nominated for an Oscar. 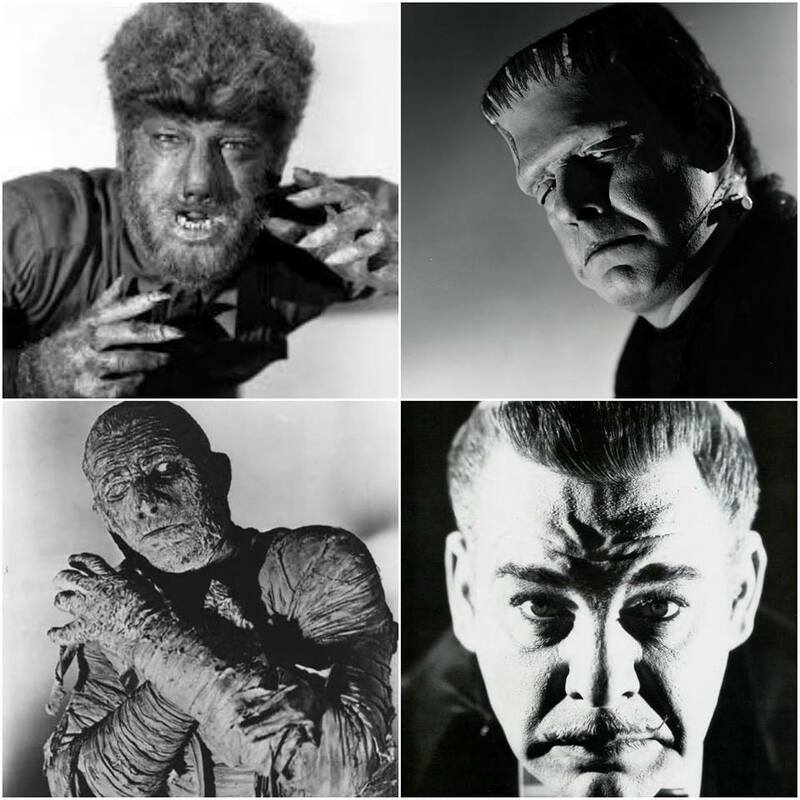 He earned an Emmy for an animated television adaptation of his own YA novel, The Halloween Tree. 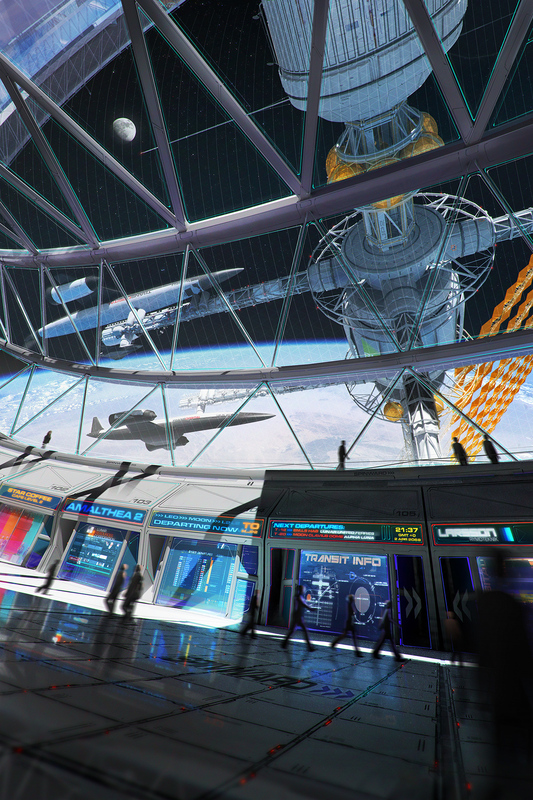 Bradbury developed architectural concepts for shopping malls, the 1964 World’s Fair and EPCOT. There is a crater on the moon named, by NASA, for Ray Bradbury’s book 1957 novel-in-stories, Dandelion Wine. The man was a force. Not surprising then, that much of my own creative ethos is culled from what I learned working alongside Ray Bradbury…. (6) HARRIS OBIT. Jack Harris, producer of the original horror film The Blob (1958) died March 14 at the age of 98. He was also a producer or executive producer of Paradisio (1962), Beware! The Blob (1972), Schlock (1973) and other genre films. The Ides of March – Julius Caesar finds out what happens when you keep your friends close and your enemies closer. March 15, 1937 – H.P. Lovecraft joins the choir invisible. Star Trek: The Next Generation‘s Wil Wheaton is a regular guest star on The Big Bang Theory. Sheldon’s arch nemesis makes his first appearance in “The Creepy Candy Coating Corollary” (Episode 5, Season 3), where he tricks Sheldon into throwing a Mystic Warlords of Ka’a card tournament. (11) APOCALYPSE IN REVERSE GEAR. The Guardian interrupted the memorial service for paper books with this flash – “Ebook sales continue to fall as younger generations driver appetite for print”. (12) PERIODICAL PERFORMANCE. The March ratings are up at Rocket Stack Rank. Sarah Pinsker, Khaalidah Muhammad-Ali, and Michael Flynn have the top-ranked stories. (13) EQUALS? Natalie Luhrs does her annual slice-and-dice of the Locus Recommended Reading List to show how many listed works are by people of various genders and races. Nearly three quarters of the works are still by white people. Representation of POC has jumped by over 10% and that is a really good thing, but I believe there is still room for improvement. Does Luhrs have a target number in mind that Locus has yet to reach, or is she failing to put in perspective what seems to be a radical effort to get diverse works listed? (14) GROWTH IN AFRICAN SFF. This isn’t the first time someone has asked “Why Is science fiction so white?” The news is that the question was posed today by a journalist in Zimbabwe, Mako Muzenda. The presence of these spaces – websites, magazines and publications – goes a long way in introducing readers to different writers, and getting aspiring authors the visibility they need. Ivor Hartmann has been involved in speculative fiction since 2007, with the release of his first book Earth Rise. After going from publisher to publisher, looking for someone to put his book on the market, Hartmann (a Zimbabwean) was finally able to get his story out with Something Wicked, which at the time was the only science-fiction magazine for the whole of Africa. “While I did publish it with them (Something Wicked), I was distressed at the lack of publishing venues for speculative fiction in Africa. So rather than moan about it I started up an online weekly magazine,” explains Hartmann. His decision led to the creation of StoryTime, which ran for five years until Hartmann switched to solely publishing anthologies. With enough experience in the industry behind him, Hartmann decided to take the plunge and address the inadequacies in African science fiction head-on with AfroSF, the first Pan-African science fiction anthology. What had started off as a fringe movement is growing into a vibrant community of people dedicated to letting Africa’s voice be heard in speculative fiction…. (15) IN THE JURY ROOM. The Shadow Clarke Jury has produced three more thoughtful reviews. The Underground Railroad is, perhaps, the best novel of 2016. I qualify that statement only because I have not read every novel published in 2016. Nobody has. But I have seen nothing to suggest that I am wrong in this assessment. And I am not alone in this view; the novel has, after all, won America’s National Book Award. I consider it the best, in part, because it is a novel that speaks to the moment the way that few other books do. It captures the screams of Ferguson, the anger of Black Lives Matter, the despair in the face of the renewed racism that celebrated the last American election. It is a book that places the experience of being black in America today on a trajectory that puts it closer to slavery than we ever like to think. And it does all of this with intelligence, with beauty, with subtlety, with wit and with invention. It uses the tools of the novel the way those tools are meant to be used, but so seldom are. It is a book that held me with its first sentence, and continued to hold me, with horror and delight, through to its last sentence. 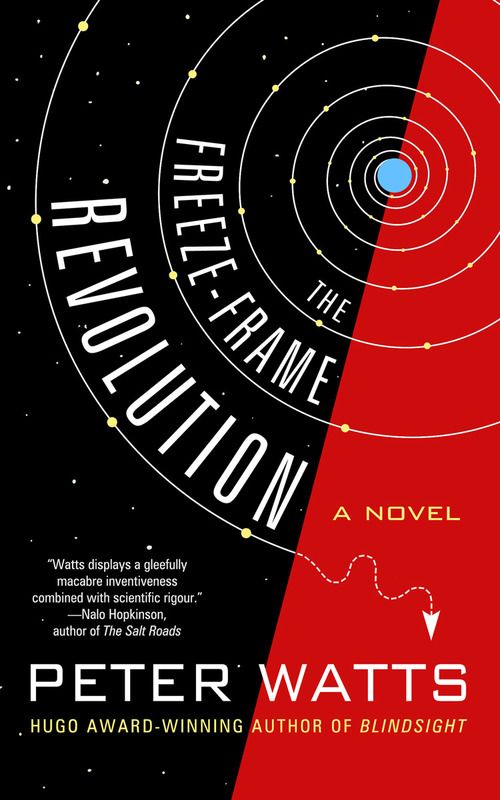 It is a good novel, perhaps the best novel; but does that mean it is the best science fiction novel? What is Kavenna’s book actually about, though? This question is harder to answer than it first appears, no doubt intentionally so. As suggested above, the outline appears simple: Eliade Jencks, having failed to enter Oxford as a student, takes a job waiting tables in the cafe of the Tradescantian Ark Musuem and continues to conduct her researches in the evenings and weekends. While working at the cafe she makes the acquaintance of a Professor Solete, an eminent don whose magnum opus is the eponymous Field Guide to Reality, a theory of everything that will finally bring together his lifelong researches into the nature of life, death and the origins of the universe. Unfortunately, Professor Solete dies before the book can be published, and when his acolytes enter his rooms in search of the manuscript they find only a locked box, labelled ‘For Eliade’. I start with Achimwene because he reminds us that one of the central themes of Lavie Tidhar’s Central Station is the telling of stories, and science-fiction stories in particular. Indeed, the narrative itself is an embodiment of a pivotal moment in sf storytelling: the move from short story to novel. 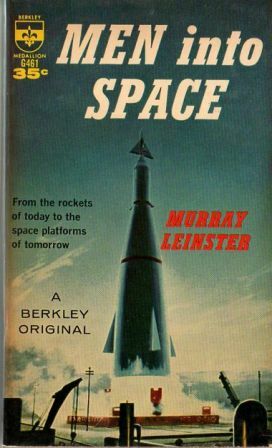 The earliest sf novels weren’t novels as such; they were formed from several closely connected short stories, sometimes reworked to strengthen those connections, and were known as ‘fix-ups’. Central Station is a fix-up par excellence, bringing together Tidhar’s various Central Station stories, some of them substantially reworked, with a couple of new stories added to the mix, and a Prologue that introduces the novel as an act of storytelling, while itself participating in the act of storytelling not once but twice. (16) A (SUIT)CASE OF CONSCIENCE. Is this “the perfect Tyrion Lannister cosplay” as Reddit says, or in incredibly bad taste? YOU decide! Why is that, though? 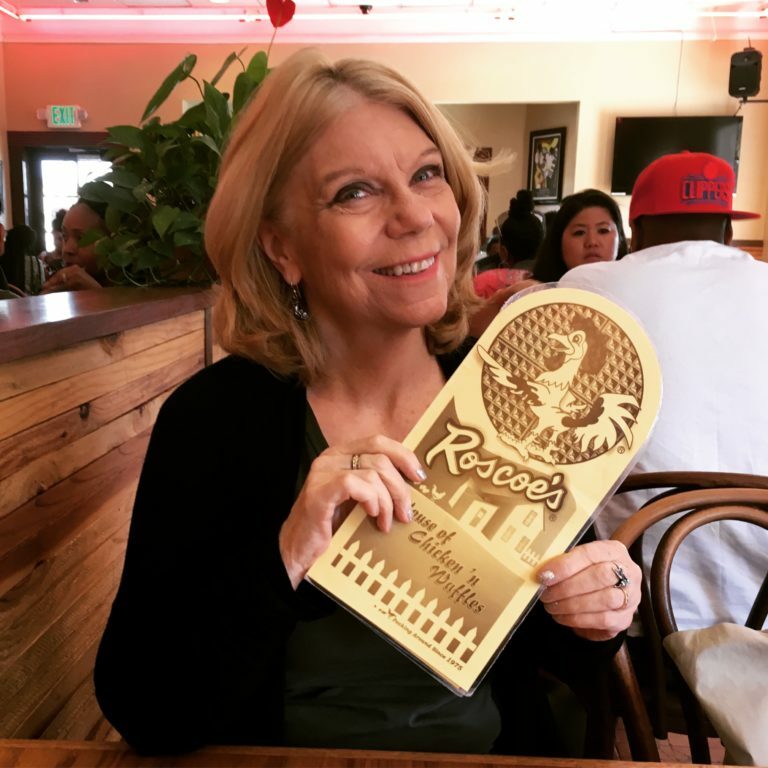 Why do we get to have a NaNoWriMo and not a NaDecEdMo? Because NOBODY wants to be that butthead who is celebrating an author who is gutting their baby. That’s what editing is, in a nutshell. It’s taking out that precious baby of yours and changing it, ruthlessly making it better. It’s a rough, rough time for an author when this is going on. The author is feeling insecure about their novel as is, and now they have to look at it with a critical eye. That cute scene that you really liked but now doesn’t really fit into the story as much? Gutted like a day old fish on Market Street. (2) SALE. Francis Hamit of Brass Cannon Books is running an experiment – and you can save. A consultant has told us selling e-books for 99 cents each will inspire those customers who like them to then buy the print edition to have forever. . What the heck! We’ll try it. All fiction e-books and mini-memoir are now going for 99 cents each in e-book form for a limited time only. Starting February 5th, 2016. Since I am always behind the curve on everything, I have just become aware that nowadays people put one space after a period in manuscripts instead of two spaces. Is this widespread? Do I need to learn to do this? I’ve been doing it the other way for 40 years; old habits die hard. (4) BY THE NUMBERS. Natalie Luhrs of Pretty Terrible looks for statistical evidence of bias in “A Brief Analysis of the Locus Recommended Reading List, 2011-2015”. I want to preface this by saying that I believe that the Locus staff works very hard on this list and intends for it to be as comprehensive as they can make it. I know how hard it can be to stay on top of the flood of fiction and other affiliated works that are produced each year. But I also believe that Locus has a responsibility to think about their biases so that lists of these type don’t inadvertently perpetuate structural inequalities–as our field’s magazine of record, this Reading List is published around the same time that Hugo nominations open and while qualified members of SFWA are filling out their Nebula nomination ballots. …The majority of the authors or editors of the works included on the Locus list are male–over 50% each year. Female authors or editors come in second in the 35-40% range. Mixed gender collaborations are next, followed by non-binary authors and editors…. (5) A NEWS STORY ABOUT NO NEWS. Bleeding Cool gives a status on some aging litigation in “Disney Pursuing Stan Lee Media For Half a Million, Finds Bank Accounts Emptied”. With Hillary Clinton running for President, her association with convicted drug dealer and fraudster Peter F Paul and Stan Lee Media may well hit the headlines again. Paul run the (then) largest political fundraiser ever for her Senatorial campaign and tried to get Bill Clinton onto the board of his company Stan Lee Media. The company was set up to exploit Stan Lee‘s name after he left Marvel Comics, to benefit from his new creations for comics, TV and films. It all went sour rather. And Stan Lee Media – a company no longer associated with Stan Lee – has spent the last ten years trying to claim rights to all Stan Lee’s creations from Marvel – and now Disney. Despite six courts saying they have no claim. Stan Lee Media have claimed that Lee transferred all his creative rights to the company in exchange for a large sum of money, and that includes Spider-Man, The Avengers, the Hulk. X-Men, Thor and the like. Unfortunately the courts really don’t see it that way. And Disney was awarded almost half a million in costs. The ongoing issue has come up again largely because of old political connections involving Stan Lee Media co-founder Peter F. Paul, a businessman and former convicted drug-dealer notorious for a series of allegedly illegal international political dealings. Paul fled the country during the initial SLMI investigation for Sao Paulo, which became a mini-scandal in United States politics when it was uncovered that Paul had been a major financial backer of Hillary Clinton’s U.S. Senate Campaign and had even lobbied for former president Bill Clinton to join Stan Lee Media’s board of directors. Paul at one point produced videos supposedly showing Stan Lee himself participating in campaign-finance calls with the Clintons as proof of his (Lee’s) complicity in the company’s bad dealings (Lee counter-sued over the matter). However, it didn’t stop Paul from being convicted to a ten year prison term in 2009 for fraud. (6) MESKYS’ GUIDE DOG PASSES AWAY. It’s as if the beginning of the New Year also signaled the opening of the floodgates of misery, with one sad loss after another. (7) NIRASAWA OBIT. Kaiju designer Yasushi Nirasawa , (1963–2016) died February 2. The Japanese illustrator, character designer, and model maker was known for his work Kamen Rider Blade, Kamen Rider Kabuto, and Kamen Rider Den-O and the creatures in the GARO series. (8) MITCHELL OBIT. Edgar Mitchell, who 45 years ago became the sixth man to walk on the moon, died February 4, on the eve of his lunar landing anniversary. He was 85. February 5, 1953 – Walt Disney’s Peter Pan premiered. Born February 5, 1914 – William S. Burroughs. (11) SCIENCE SHOWS CANADIANS ARE NICER. Oliver Keyes says “When life gives you lemons, make science”. Ever since my writeup on leaving R my blog has been getting a lot more traffic than usual and many more comments. Usually this would be fine except the topic means that a lot of those comments are blathering about whiny SJW babies or actual death threats. 28 at the last count. Was premised on the idea that I was “oversensitive” or “overreacting” which is pretty rich coming from people whose idea of acceptability includes insulting people they’ve never met on somebody else’s website. So I took this definition and hand-coded the comments and grabbed the data. We ended up with 107 users, of whom a mere 40 weren’t arseholes, producing 183 comments in total. Then I worked out their referring site and geolocated their IP address, et voila. (12) RABID PUPPIES. Vox Day posted his picks in the Best Fanzine category. 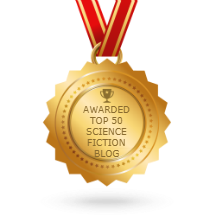 Black Gate succumbed to the genetic fallacy in turning down last year’s nomination; regardless of whether John O’Neill will do the same or not again this year, it remained the best SF-related site in 2015. People I respect have suggested I publicly demand that Vox Day remove File770 from the Rabid Puppies slate. Then having done so, if Day fails to comply and I ultimately receive a Hugo nomination, they feel I can accept it with a clear conscience. If I understand Steve Davidson correctly, he wants everyone to make a public statement repudiating slates. I don’t think people are unclear on how I feel about slates, thus it really becomes a question whether — by modeling that behavior — I want to encourage Steve to go around hammering people who don’t post the equivalent of an oath. I don’t. Consider this point. I have been planning to nominate Black Gate because I’ve been reading it since last year’s Hugo contretemps brought it to my attention, and think they do a terrific job. What if they don’t make a public declaration? Should I leave them off my ballot? And thereby fail to do what I tell every other Hugo voter to do, nominate the stuff they think is the best? I’m not voting for Black Gate because of a slate, and I don’t intend to be prevented from voting for it by a factor that has nothing to do with what I think about the quality of its work. That’s also why I’m choosing not to follow the advice I received about handling File 770’s apperance on the slate, though the advice is well intended. (13) NUCLEAR TOY. 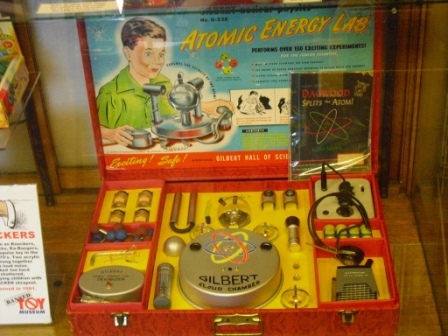 In 1951, A.C. Gilbert, inventor of the Erector Set, released the U-238 Atomic Energy Laboratory. Using real radioactive materials, one could witness mist trails created by particles of ionizing radiation. The set included four Uranium bearing ore samples, and originally sold for $49.50. That would be $400 in today’s dollars. Tangent Online has counted coup on Uncanny Magazine by publishing Kate Paulk’s rebuttal to their essay, “Jousting With Straw Puppies”, before the target is available to the public. Not that this required either magical powers or access to the TARDIS: Tangent Online received an advance review copy. (Uncanny Kickstarter supporters and issue contributors also got their copies ahead of time). Since the success of Sad Puppies 2 in bringing a handful of differently philosophical works onto the Hugo ballot, there has been a stream of articles, blog posts, tweets, and every possible other outlet imaginable decrying the evil of the Puppies and how the campaign is the reactionary work of a collection of redneck, white-supremacist, homophobic, Mormon men trying to keep everyone else out of the field. Seriously? The last time I looked I don’t have the equipment for that, and I’m running Sad Puppies 4. Of course, every time someone posts a lengthy critique of Sad Puppies, it usually comes with a lovingly constructed set of Straw Puppies who are then deconstructed and proven to be just as horrible as the author set them up to be. So it is with the latest offering from a pair of self-described feminist geeks, Annalee Horne and Natalie Luhrs. Their article can be found in Uncanny Magazine issue 7 (http://uncannymagazine.com/), for those sufficiently masochistic to wish to wade through it, and makes extensive reference to How to Suppress Women’s Writing, by Joanna Russ. They begin their construction of the Straw Puppies with the assertion that Sad Puppies 3 was an “attempt to take over the Hugo Awards” (which failed). To someone with little or no knowledge of Sad Puppies that bland assertion (unreferenced, of course) would probably go unchallenged. The truth is simpler: Sad Puppies 3 aimed to bring works to the Hugo ballots that would normally not be nominated. Nothing more, nothing less. Why would many of those works not normally be nominated? Is it because, like Michael Z. Williamson’s Wisdom From My Internet, some aren’t very good? But why go on. Paulk shows once again that letting Sad Puppies speak for themselves is all the answer anybody really needs.